Whatever your reasons for going back to fantasy gowns, I always enjoy them, so I’m not complaining! lol! Thank you for another great outfit. I’m really enjoying this new series! I’m glad you like them! I like them too. 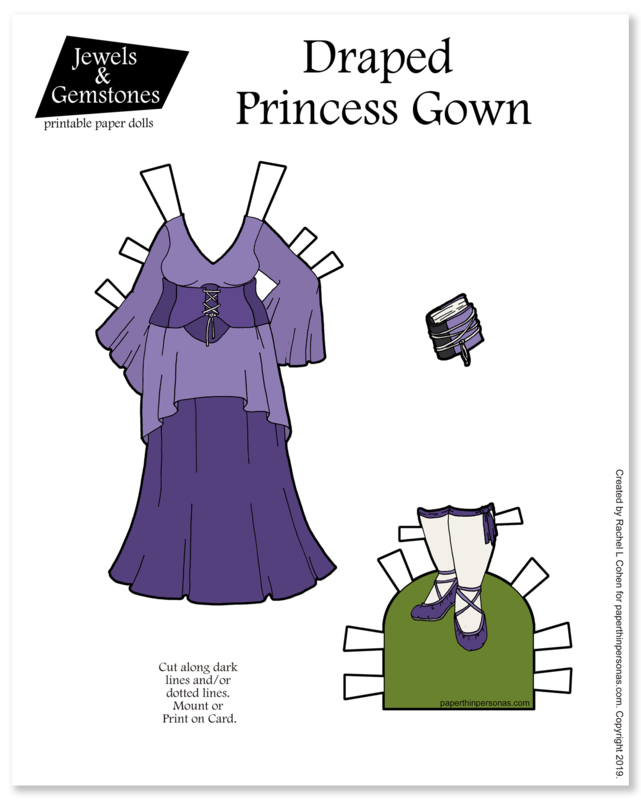 Often times when I’m having trouble thinking of what to draw, I look at older paper dolls for inspiration, for example with this theme I would look at the gowns for Sleeping Beauty or something similar. Love the color. Oh, yeah. I have lots of tricks for finding/getting inspiration, but sometimes I just want to draw and this tends to be the style I go back to at those times. Pretty! My fav films have always been princess bride and the lord of the rings trilogy so fantasy is always my number one favorite. No matter how much my interests range those always stay the same. I love Princess Bride and I love A Knights Tale. Lord of the Rings I have mixed feelings about. Visually, it’s stunning. I just don’t totally like how they adapted the novels in places.